LinkSoft Courier Manager is an ideal solution for a small to medium courier enterprise. It integrates data dispatching and proof of delivery in the one device. 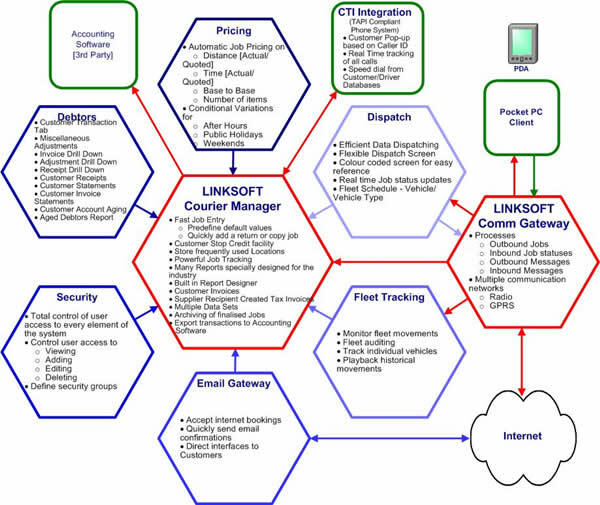 Incorporating many of the powerful features that exist in all of LinkSoft¹s products this application provides invaluable tools to the operations and management of a courier business.